After growing up sliding across ice in Pennsylvania, Joel Gratz discovered powder when he moved to Colorado for graduate school. He’d majored in meteorology and wanted to create a business that combined this background with his obsession for skiing. His website, OpenSnow, now reaches over two million powderhounds looking for the turns of their lives. Along with a team of local forecasters (who also happen to be lifelong skiers/riders), Gratz uses a complex ensemble of weather models, webcams, snow reports and intuitive analytics to pull together forecasts that are accurate, educational and entertaining. “It’s one thing to miss a temperature forecast by five degrees, but if they forecast a foot of snow and you get five inches, that’s something you notice,” he says. While weather apps can give you some idea of conditions, the need for inch-by-inch forecasts and powder alerts inspired Gratz to first start a small blog and email list called Colorado Powder Forecast. Sometimes making his reports from the utility closet of a friend’s house at 4am before hitting the slopes himself, Gratz accesses multiple weather models and making tweaks to observe a wider range of outcomes before posting his report. Over a decade of experience with computerized weather models and hunting for powder allows him and his staff to make more accurate, more human predictions. Launched officially in 2011 by Gratz and Andrew Murray, a meteorologist and computer programmer, OpenSnow has now grown to five employees and seven contract forecasters around the country who are able to provide accurate, on-the-ground forecasts in Colorado, Utah, Washington, Idaho, Montana, California and parts of the Northeast. 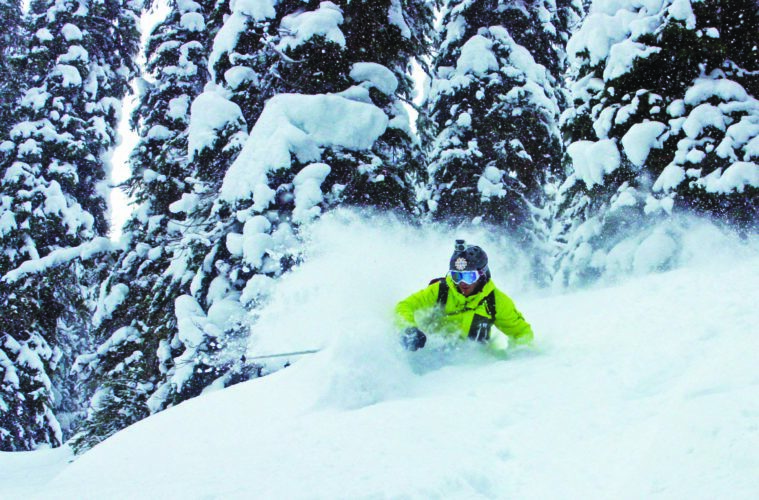 According to Gratz, the key to good forecasting and good powder is consistency. An ideal season for Gratz has early cold and snow that gets the mountains open mid-November and then lays down several weeks of continual snowfall. He watches different models daily to keep his head in the game and eye on potential patterns. While long-range forecasting is tricky more than a few months out, he analyzes past winters that had similar factors and is suspecting a variable start to this season with a stronger middle to end. The Best of Breck ELWAYVILLE: Forever Triple Your Winter The December Issue is LIVE!